According to the Centers for Disease Control and Prevention (CDC) 50 to 70 million people in the U.S. suffer from trouble sleeping. Getting enough sleep is not just a personal issue, but has larger consequences for society as a whole. Having trouble falling asleep, not getting enough sleep (or good quality sleep) can impacts work performance, driving ability, and may interfere with performing daily tasks. The causes of trouble sleeping are a little easier to identify today, largely because of the constant use of digital devices, often right up until bedtime. It’s therefore recommended that all electronics be turned off at least an hour or two before bedtime, because the lights emitted from these devices interfere with the body’s circadian rhythm, meaning that it interrupts the body’s pattern of internal waking and sleeping. What Are Common Sleep Problems? Trouble getting to sleep (that is, insomnia) is only one aspect of having difficulty sleeping, and it’s the most common. But sleep disorders can manifest themselves in other ways. For example, you might be able to get to sleep, but you’ll have trouble staying asleep. 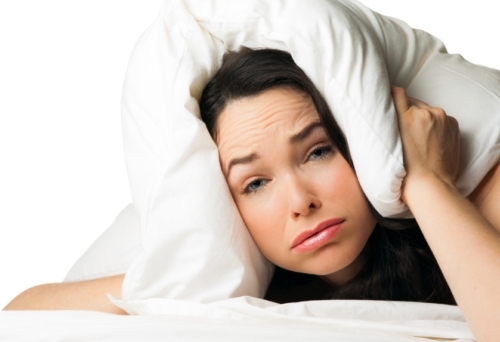 There are three key areas that can cause sleep disturbances. The value of sleep is grossly underestimated, and even minimal sleep loss takes its toll on the body and mind, so it’s important to find ways to remedy the situation. Several physical problems or medical issues can cause sleep disturbances, including sleep apnea, restless leg syndrome, narcolepsy, acid reflux, asthma, back pain, stomach cramps, and arthritis. Talk to your doctor to see what can be done to get you back on track to a good night’s sleep. Mental health issues such as depression, schizophrenia, and anxiety play a role in sleep issues. Sometimes the medication to treat these disorders is what causes insomnia, but other times it’s the disorder itself. Trouble sleeping from anxiety can be eased by learning how to soothe yourself before bed. Try lavender oil, meditation, yoga, and a hot bath to help bring anxiety down. Where you live can have an impact on sleep. If you live in the city near a busy street, you might be awakened by the sound of traffic, sirens, and general hustle and bustle of city life. If you can, keep your window closed and buy earplugs so you can enjoy the silence. Other factors that can contribute to trouble sleeping are listed below. Some medications have the unfortunate side effect of keeping you awake. If your sleep problems don’t resolve within two weeks, talk to your doctor. Genetics can also have an impact on how well you sleep. A visit to the doctor’s office may be in order to see if anything can be done to work around this. As we get older, we tend to get less sleep because we seem to need less sleep. Generally speaking, elderly people sleep for a few hours at a time and then get up to use the washroom and then go back again. It’s not typical for most adults over 65 to have a full night’s sleep of eight hours; sleep is patchy and inconsistent. Shift work can be one of the worst disruptions to a natural sleep pattern, especially if those shifts get switched around every few weeks from day to night. Avoid drinking coffee and caffeinated tea three hours before bed. The same goes for cola and caffeinated sweet beverage drinks. Trouble sleeping remedies are within your reach. A number of solutions are outlined below to help you get back some of the sleep you might be missing. Proper nutrition affects all aspects of our lives, including sleep. Poor nutrition will make you feel sluggish and stimulate your nervous system if you overindulge in, say, coffee or soda. Try a warm glass of milk before bed to help calm you down. Developing good sleep hygiene is very important to getting a good night’s rest. Hygiene in this sense doesn’t refer to cleanliness, but rather the sleep routine you craft to help you relax and drift off. Start shutting things down two hours before bed. Turn off all electronic devices, including the television. Do something that relaxes your body and mind. Have a bath. Read lightly before sleep and then crawl into bed with this relaxed mindset. Don’t exercise right before bed because it can potentially keep you overstimulated and then you won’t fall asleep. Try to get your workout in before 6:00 p.m. It might be nice to cuddle with them, but pets smell and move around in the night—two factors that can disrupt your sleep. It’s best to get them a bed of their own and then play with them during the day. Alcohol of any kind is a stimulant and though it might seem like a good idea to drink before bed to help you sleep, it really isn’t; it will only disrupt your natural sleep cycle. Try not to drink any later than two hours before bed. “Insufficient Sleep Is a Public Health Problem,” Centers for Disease Control and Prevention web site; http://www.cdc.gov/features/dssleep/, last accessed April 18, 2016. “Causes of Sleep Problems,” Web MD web site; http://www.webmd.com/sleep-disorders/sleep-disorders-causes, last accessed April 18, 2016.